Mozambique is one of the most beautiful countries in South Africa, and that is mainly because it has a coastline that is more than 1000 km long. You cannot possibly get bored in Mozambique. You can enjoy tours and safaris, but if you feel like sitting in one place for a couple of days, you can choose from one of the hundreds of beaches. The national parks provide beautiful flora and fauna, and hiking will give you the opportunity to see fantastic landscapes. Needless to say, when you have such a long coastline, water sports are available almost everywhere. Of course, some places are better for scuba diving than others, but you get the point. Before traveling to Mozambique, you need to see whether or not you need a visa to enter the country. Lucky for you, the visa policy of Mozambique is lenient. First of all, the citizens of 9 countries are visa-exempt, and they can stay within Mozambique for up to 90 days. Secondly, all the other nationalities in the world are eligible for a visa on arrival which grants a 30-day stay. They can be obtained at all points of entry in Mozambique. If you want to see which visa you need, you can check out Mozambique’s visa policy yourself. On the other hand, using iVisa’s Visa Checker is easier. This feature is easy to use and displays the information you need in just a second. First, you must click on the button that says Visa Checker. You can see it in the top right corner. Then, you must select your country of origin in the drag-down box on the left and Mozambique in the right menu. The result will display whether or not you need a visa. 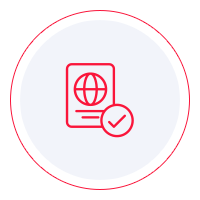 As you can imagine, iVisa cannot help you get your Mozambique visa on arrival, but we would still like to help in any way that we can. Since information is all we can provide, feel free to contact our support service. It is available 24/7, and it is entirely free of charge. If you find out that you need to obtain a visa on arrival to enter Mozambique, you need to be familiar with the requirements. However, that is easy to find out, and the internet can help with that. We suggest that you check multiple sources so that you make sure you have everything you need before boarding the flight. Nevertheless, what we can tell you is that you need is a valid passport that remains valid for at least another 6 months from the date of arrival in Mozambique. Other than that, you need to prove that you go to Mozambique for tourism purposes. A hotel booking confirmation and a return ticket should suffice. In some cases, an invitation letter from a host is enough. We regret that we cannot help you more with getting your visa on arrival for Mozambique, but we hope that you find the information above somewhat useful. For more information, do not hesitate to contact us.